1 2 3 4 5 Click to share your rating 52 ratings (4.5/5.0 average) Thanks for your vote! 70.68% of people buy Eureka - Season 2 (3 Disc Set) and Eureka - Season 1 (3 Disc Set) ~ DVD. This three-disc set with over 8 hours of fun behind-the-scenes extras will take you back to the seemingly perfect town of Eureka, where the hidden work of Americas brightest scientists can lead to innovative discoveries and unnatural chaos! 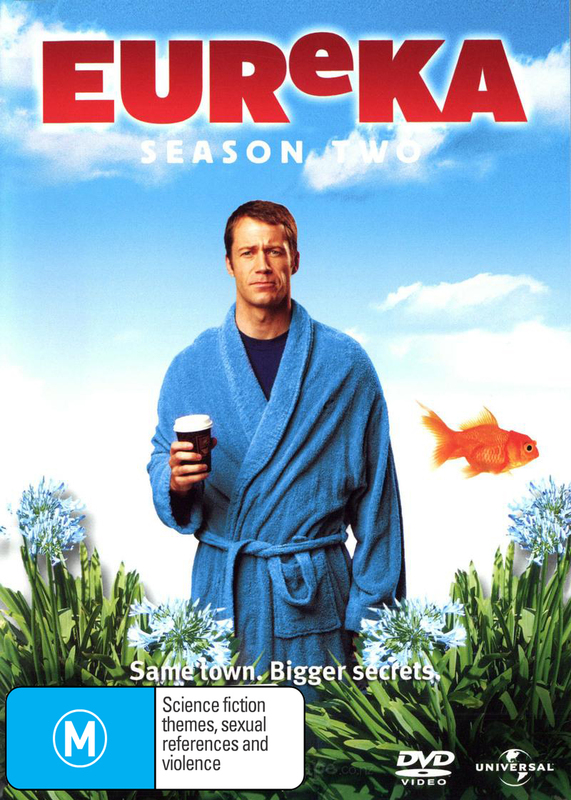 Follow Sheriff Jack Carter (Colin Ferguson) as he struggles to keep a sense of normality amid the scientific mayhem, big brains and bigger adventure in this unusual little town in the Pacific Northwest. 9 previews were written before this product was released.